Driving in to Center City on Monday morning, a topic up for discussion on conservative talk-radio caught my ear. 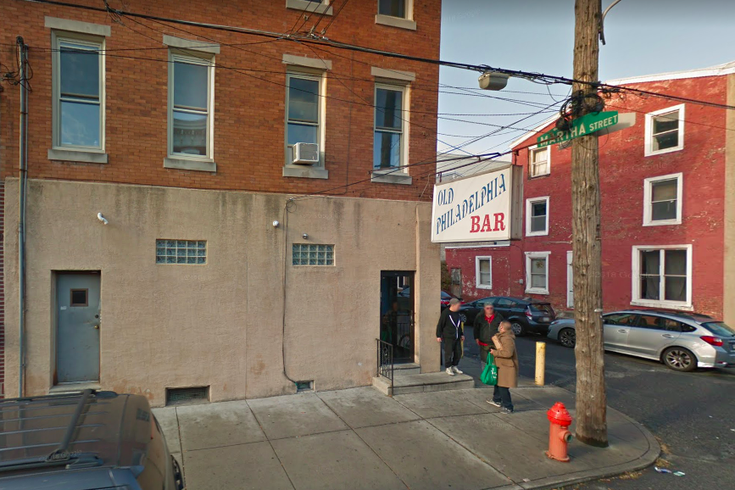 The host Dom Giordano – on whose show I often appear in my role as “liberal who brings another viewpoint to the table” – was talking about a bar at the corner of East Dauphin and Martha streets in Kensington. Though a dive-bar enthusiast, I’d never before heard of the Old Philadelphia Bar, which is fine, as there are many corner taprooms off my radar. The reason Giordano was talking about this establishment wasn’t a dive-bar rankings thing. It was a 14-word message recently affixed to the door. My initial reaction: Hoo boy, this one’s gonna get people riled up. My second reaction: It shouldn’t. Sure, this is a city that went topsy-turvy over a “Speak English” sign at a South Philly cheesesteak joint. And sure, this is a country that, today, will battle over a U.S. Supreme Court decision that ruled in favor of a Colorado baker who refused to make a wedding cake for a gay couple. And, absolutely, we’re more divided as a people than at any point in my 45 years of life. But here’s the thing: The only thing that’s offensive about that Old Philadelphia Bar sign is that it violates one basic tenet of gathering in public to drink alcohol: Never, ever talk about politics (or religion) at the bar. The only thing more likely to cause people to come to blows is wearing a Cowboys jersey. But here we are – in Philadelphia, 2018 – and folks are (justifiably?) worried that the gates of liberal hell would rain down judgment and repercussions unto a corner dive bar for a message that offends some. To me, the sign is more of a warning than anything else: This is who we are. If it bothers you, go somewhere else. When I called over to the Old Philadelphia Bar on Monday morning – it was open when I rang at 10:30 a.m., which rules – the woman who answered the phone took my number. She said previous coverage was totally negative, but would ask someone to give me a call. I didn't hear back from them, unfortunately, as I wanted to ask about the inspiration for the sign. The best I can gather from online reviews, this is a cheap, neighborhood spot frequented by locals. In other words, it's far from a high-profile, tourist-attraction sandwich shop. Dive bars like that abide by their own ethos. They have personalities all their own. It’s folly to think you can stroll in and change the vibe of the place, nor should you even want to. If “Go America” is the mood, well, love your time buying cheap drinks there or leave it. To me, the sign is more of a warning than anything else: This is who we are. If it bothers you, go somewhere else. It’s not about restricting access to public accommodations any less than Center City Sips warning you to stay away if you don't like watching drunken bros brawl on the regular. If they tossed someone out for not loving America, that'd be a different story, and ripe for Philadelphia Commission on Human Relations intervention. I reached out to the PCHR to ask whether any complaints have been filed. As of 3 p.m. Monday, the answer was no. Instead, this is a case of a dive bar telling you what it is – upfront. That's a lot better than a watering hole hiding its true self and then flagging you if you don’t stand for the anthem before the televised Phillies game.